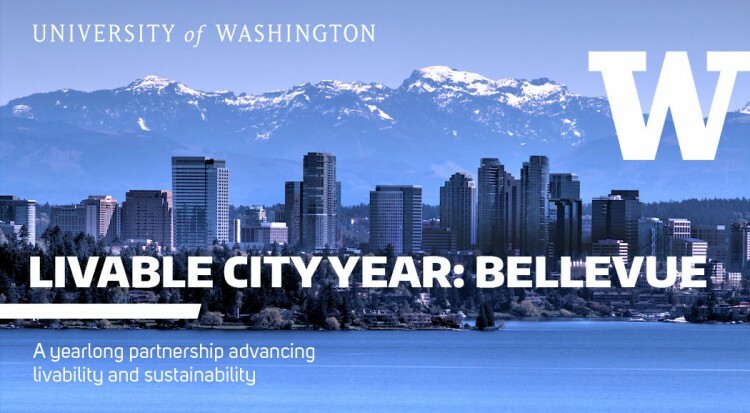 Tuesday, October 9, 12 – 1:30 p.m.
You’re invited to help us kick off the year-long Livable City Year partnership between the University of Washington and the City of Bellevue. Students, faculty, city leadership, staff and community members are welcome! Livable City Year is a cross-university collaboration connecting local governments with University of Washington classes to address community-identified areas of need. For additional information, contact LCY Program Manager Teri Thomson Randall at terir@uw.edu.